QD Pro-Design Nails is the brainchild of Alina Kuzmenko and Gary Davidovitz. Our concept is to provide a one stop shop for all nail technicians and lovers of nail art. Alina arrived in South Africa in 2014. She had huge amounts of training and experience in her land of birth, Ukraine, in all forms of nail technology and design. She is also blessed with a generous amount of talent. Ukraine and Russia have an unprecedented culture of nail design and art. In these countries nails are almost a religion. There love of this is clearly apparent in how the art form has developed there. Naturally artistic people, they have fallen in love with nail technology. The culture there is incredibly strong and developed. Product and training have become truly advanced beyond anything we in South Africa can imagine. This is manifested in quality of products and training available there. The type of shop there would be more of a one stop shop than anything in South Africa. We at QD Nails soon realized that it was extremely difficult as well as costly to obtain really quality products. She would buy acrylics from one supplier, gel from another, polishes from yet another. Many items we had to import from overseas. It was clearly an undesirable situation. How to solve this dilemma? Well at first we decided to contact companies in the USA, Russia and other EU countries, to supply us with quality product. There were two issues which always presented themselves. Firstly price, these suppliers source from factories. The manufacturer makes their profit and ships to the supplier. This means suppliers pay factory price plus shipping, taxes and duties. The supplier then marks up and ships to South Africa where again import taxes and duties are paid! A mark-up is then applied by the South African representative. By the time technicians in South Africa purchase, the price is many times the original cost. That is the reality of all suppliers in South Africa. The second problem was soon also clear. The sad reality is that whilst one supplier may be strong in art and accessories they would be weak on gels and gel polishes. We could not find a single reputable brand that was an “all-rounder”. Worse still, was that pricing for different products were not suitable either. It was the norm to find decently priced acrylic for example but everything else from that supplier, inevitably would prove expensive. It became really obvious that only one solution could be found. Start our own brand! Sourced from only, the finest and best producers, of each individual product. Yes it was hard, yes it was necessary to contract manufacturers from all around the globe, yes it was really challenging to find exactly the product that Alina would accept. However we did it and it was worthwhile. 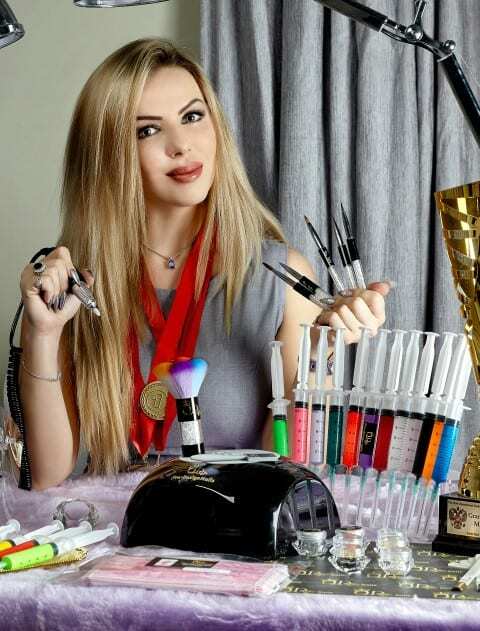 Alina successfully used these products to win over 80 international and local nail art competitions….in one calendar year! This is your assurance of quality! Alina! She could not even consider using any product she herself would not use! As a result of this we stand firmly behind all our products. Best of all is that we secure the best prices, cut out the middle man and importing direct. This ensures not only finest quality but reasonable price. Moreover we spend huge amounts of time and effort researching trends around the world! We believe that we have created our dream a one stop shop. We will also constantly endeavor to secure products that our client request. Always at the quality and price level we require. Our plan, to sell to all interested techs, no complicated sign up or registration. Hey if its good enough for Russia, Ukraine and frankly most of the world why should South Africans need to battle for quality product? What logic is there behind that? Does it create exclusivity? We do not think so. Perhaps it protects sellers from incorrect use of product? Again we think not and offer real time assistance in all our products. We also will supply formal training at fair prices. How does one grow if they are not given the chance? QD plans to train and supply all who have an interest, be it for themselves or clients, and we will stick by that. Quality products and training at realistic prices for all! WE WELCOME YOU TO OUR QD WORLD!